LOADED WITH HIT SONGS AND FEATURES …. 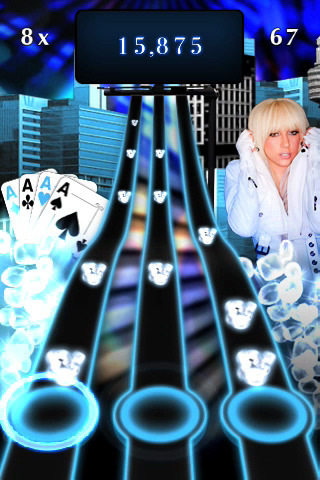 – 4 boss tracks, that, for the first time ever in the Tap Tap Revenge Series, feature horizontal play mode and 4 rails! – Superior stability, multi-player mode, a Lady Gaga news feed, and Facebook Connect to flaunt your scores to the World.